“For God so loved the world that He gave his one and only Son, so that whoever should believe in him may not perish, but have everlasting life. For God did not send the Son into the world to judge the world, but so that the world might be saved through him.” John 3:16-17. Love. Is it possible for a word so powerful to be any more overused? In one conversation we can talk about how much we loved that meal last night and conclude it by saying how much we love that person. We can love the weather (actually, more like hate out here in Chicagoland lately) and we can love our children. To be sure, context is the determiner, but I wonder if by overusing the word, we cheapen it? If love can be used for any object and any circumstance, what about God’s love for us? Do we subtly misbelieve that God loves us the same way he would love a hot dog or a really good movie? Furthermore, as Brennan Manning asks, has the idea of God’s love been so overplayed that while we know that God has to love us (theologically), we’re not convinced that he even really likes us? When push comes to shove and it’s just you and him, do you believe that he loves you with all the tenacity and fierceness of a lover who refuses to let anything get in between you? This is how John seems to portray it. Even the most famous verse of the entire Bible is predicated on the idea that God loved. 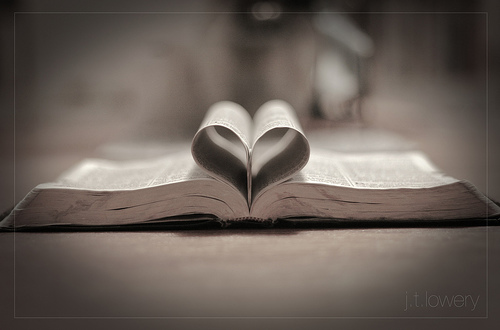 When we lose the power of the word love, the entire verse crumbles. God sends his Son because He loved, and this love set off an entire sequence of events that led to the salvation of the world. You lose love, and everything becomes transactional, functional – “I do for you, so you better do for me.” In essence, you lose the love of God and you lose the Gospel. So in the interest of remembering the Gospel today, let’s remember a few things about love. The love of God says more about the Lover than the object of love. It’s easy to become self-centered when we think about the love of God. We could imagine a God who’s pining away in the heavens, wishing that his “too-cool” creation would pay attention to him. Like a love-sick puppy dog, God just wants us to give him the time of day. John doesn’t seem to agree though. We see a God who loves rebellious, broken, stubborn people because that’s who he is – a lover of souls. He loves us not because we’re so love-able, but in spite of our unlove-able-ness. In fact, Jesus takes on that un-love-ability such that he becomes “like one from whom men hide their face He was despised, and we esteemed him not.” (Is. 53:3) The fact that God loves us in our ugliness makes it all the more remarkable. The love of God is rooted in action more than just emotion. Because of our ugliness and brokenness, it’s easy to imagine that God’s love would wane depending on our daily ugliness meter. If we’re particularly ugly that day, we think that God loves us less than the day before. But God’s love is more than emotion. He doesn’t fall in love. He loves. In fact, he is love, and this love is not just a state of being, it is intensely active, fierce even. God loved the world, so he gave. He had to give. He had to act! His love compels him just as the love of Christ compels us (2 Cor 5:14). He doesn’t love from a distance. 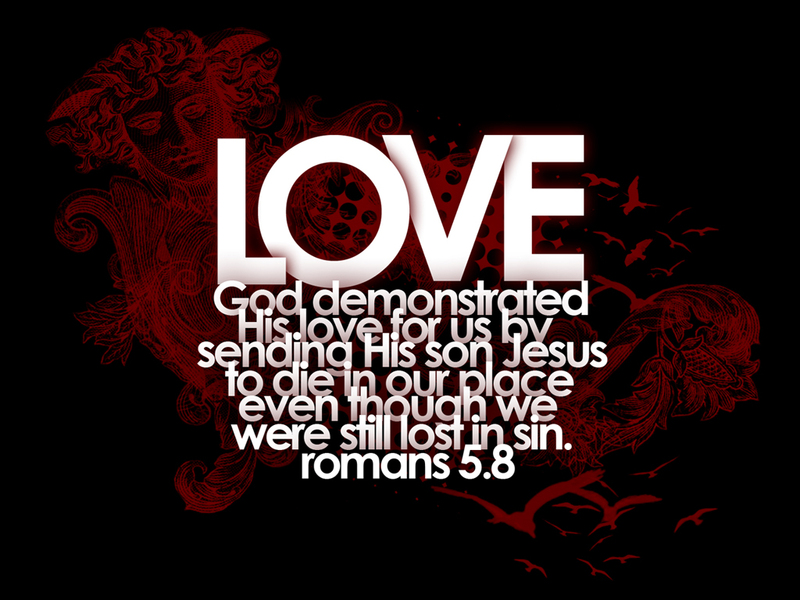 His love isn’t sanitized and kempt. God’s love always translates into action – sometimes it’s pursuit, discipline, patience, jealousy, or redemption itself. The love of God is actively displayed in the cross of Jesus Christ. Along the line of redemption, the consummative act of God’s love is in the cross. The giving of his Son was to someone, for something. He gave his son over to death. His son was given over to hands of sinners who crucified him. Jesus was given over for our sin and rebellion. The giving of the Son of God purchased the lives and souls of the undesirables of the world (1 Cor 1). His love was demonstrated in that act on the cross, fracturing the very fabric of the Godhead so that we might become the righteousness of God in Him. I pray that out of his glorious riches, he may strengthen you with power through his inner being. And I pray that you, being rooted and established in love, may have power together with all the saints to grasp how wide and deep, high and long is the love of Christ – to know this love that surpasses all knowledge, that you may be filled to the measure of all the fullness of God.